By Fr. William Nordenbrock, C.PP.S. On the feast of St. Maria De Mattias, the Church offers for our reflection a very familiar passage from the Book of the Prophet Jeremiah. In fact, it is part of the reading that we heard on Sunday. In the passage we hear the timidity of a newly commissioned prophet who seeks to escape his vocation by declaring: I don’t know how to speak; I am too young. And we hear God’s response: Have no fear because I am with you. It seems that every profession or incorporation ceremony that I have ever attended uses this same passage. I don’t remember, but it was probably the reading used when I was incorporated 40 or so years ago! Jeremiah strikes a deep chord in one who is making a commitment to live a consecrated life, but I think that this scripture is a message of encouragement for all believers. As followers of Jesus, we are all called to be witnesses to the Gospel and as members of the Precious Blood family, we share a call to speak to the world the message of the saving power of the Blood of Jesus. 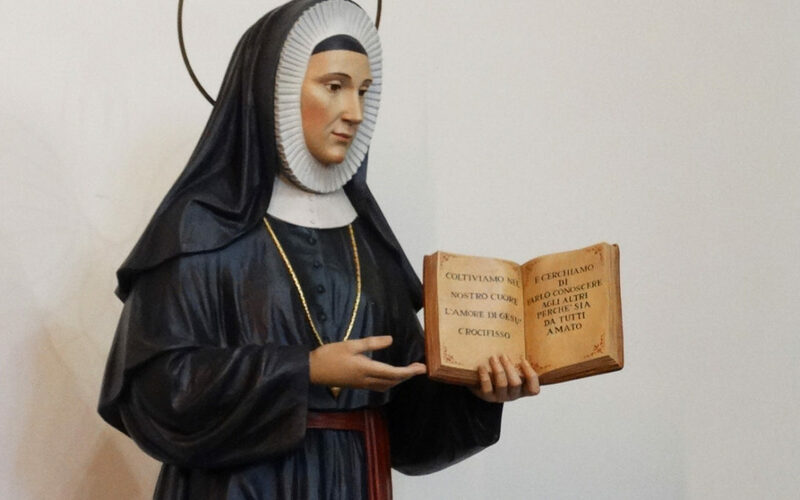 It is easy to imagine that a young Maria De Mattias had her “Jeremiah moments.” She was exposed to the spirituality of the Precious Blood in a mission preached by St Gaspar when she was only a girl of 17 years. Just three years later, with the encouragement of the Venerable John Merlini, she began to respond to a call received in her heart to begin her apostolic work as a catechist. What would a minimally educated lay women in the early 19th century Church be thinking and feeling as she began her mission, usually reserved to priests? And a few short years later, as she welcomed young women to join her in a way of life and mission that would become the Sister Adorers of the Blood of Christ—do we think that she was without hesitancy and uncertainty? But Maria was a woman of great heart who would trust that God was with her and her mission. She was “woman of the word” with a gift for teaching and preaching; she gave counsel as an animator and a spiritual guide. She was inspired by a faith that the Precious Blood is the great sign of God’s love and she became an apostle of the Precious Blood. Courage and love defined Maria. I no longer try to use the excuse that I am too young, but I still have “Jeremiah moments.” Sometimes I struggle to trust that the God who calls me and gives me a mission will continue to be with me. I suspect you do also. But we can be like Jeremiah and Maria and take heart, be courageous and trust the great love of God for us and be a witness, in word and deed, to the Word of God and the saving power of his Precious Blood. Saint Maria De Mattias- Pray for us! Fr. 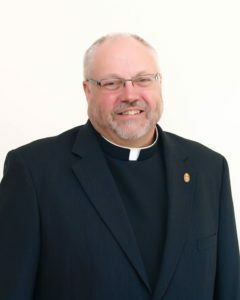 William Nordenbrock, C.PP.S., is the moderator general of the Missionaries of the Precious Blood worldwide. An Ohio native, he now lives in Rome. The Congregation serves in over 20 countries around the globe.